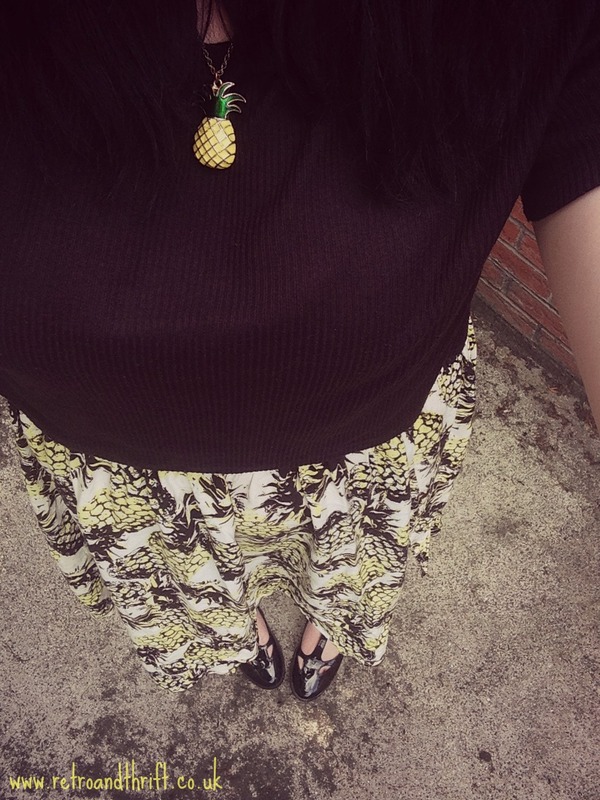 Back with another outfit post today and this time it's all about pineapples. 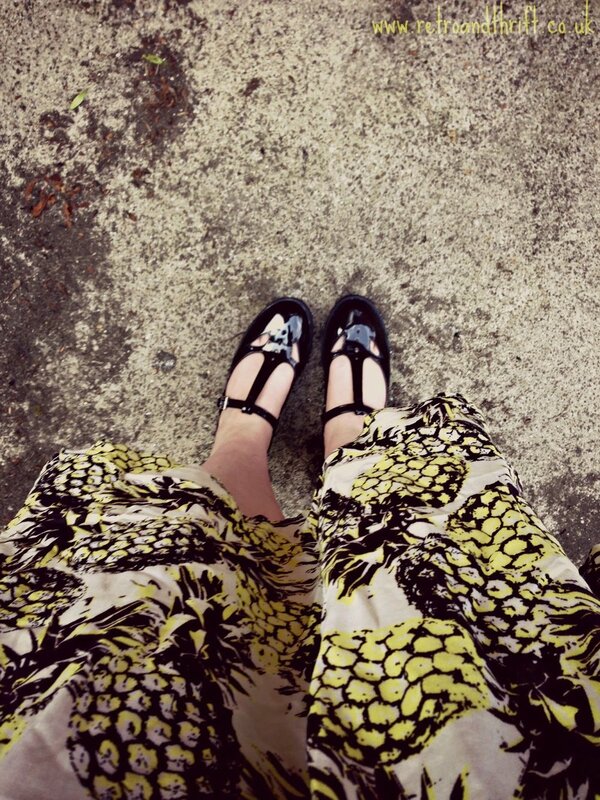 I love fruity prints and this skirt is no exception. I bought it from Primark a while back and it never really fitted me, but now I can get in it! It seems like the sweating in the gym is paying off after all. I'm also wearing a black crop from H&M with a necklace that was gifted to me from my best friend a few years back (I believe it was from Judy's Affordable Vintage Fair). The shoes are from ASOS and are the most painful shoes to walk in ever. As I took these photos the same day as my last outfit post (hey, don't blame a girl for making the most of the sunny weather and body confidence), I am wearing the same very simple retro inspired makeup with unstyled hair! The lipstick I'm wearing is my go-to red shade - Lady Danger by MAC.